Who hasn’t dreamed of a picnic for two on the banks of the Seine or ducking in and out of markets in Montmartre like a local? But no trip to the City of Light is complete without a tour of the iconic Eiffel Tower. Here are five phrases from the French language you should know before you go—so you can get your tourist on like a real Parisian. Say hello to the Eiffel Tower or “The Iron Lady” (la dame de fer) as the French like to call her. She stands 324 meters tall and, for several decades, was the tallest structure in the world. The Iron Lady maintains her luster due to a beauty regime that involves being painted by hand 18 times since her construction. Originally red-brown, then yellow ochre, La dame de fer now sports the fashionable bronze sheen you see today. Taking the stairs might seem like the most unromantic thing ever, but there’s more up here than cheaper costs. While the second-floor observation platform is the view most visitors see, if you don’t take the stairs you’ll miss the first floor’s fear-inducing glass floor and the Eiffel’s iconic restaurant. You’ll agree the guanaja chocolate mousse with praline at 58 Tour Eiffel is worth the climb en haut des escaliers. For the less adventurous, pay the price for summit access (17 euros) and take the elevator all the way up, where a smaller third-floor observation platform provides Insta-worthy pics of the City of Light. And even if you’re not in love with heights, you can still float away on the bubbles at the Eiffel’s Bar A Champagne. Un billet, s’il vous plait never sounded so good. Finding a free public restroom in Paris can be a bit like puzzling out the Da Vinci Code. Step away from the map and cipher for now because you can use the loo at the Eiffel Tower. There are restrooms on both the second and third floor for those who need to figure out où sont les toilettes sooner rather than later. Sunset is really the best time to wander along the River Seine and marvel at The Iron Lady from afar. At dusk, she helps Paris live up to its moniker by lighting up with 20,000 flashing bulbs every hour on the hour. While it may seem a bit cheesy in theory, you’ll find yourself gasping in awe when you witness the spectacle. Perhaps if you shout je n’en crois pas mes yeux, you’ll feel less like a tacky tourist. See—those French lessons do come in handy. Want to pick up more helpful French phrases? 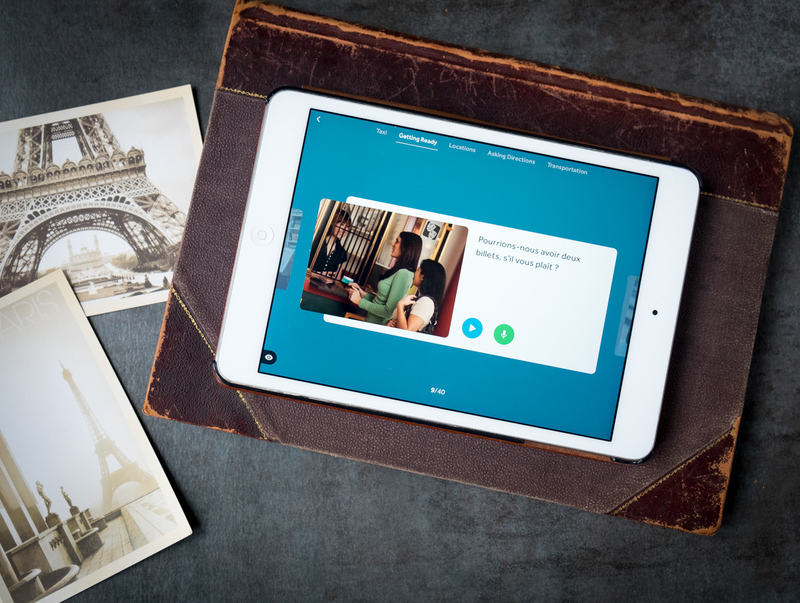 Download the Rosetta Stone Learn Languages app, on iOS or Android, for a free first lesson as well as unlimited access to our French Phrasebook—full of greetings and useful expressions.